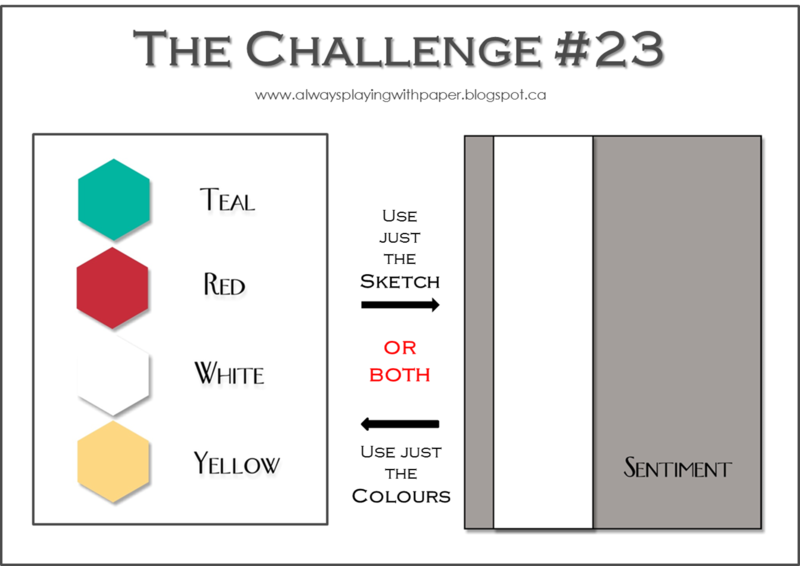 Hello and welcome to The Challenge # 23! This week as have another beautiful sketch and or color combo for you to play with! To create my card I used ALL Stampin' Up! products. I loved playing with the new Petal Potpourri and Crazy About You stamp sets and the matching sentiment thinlits! The font is so much fun. I stamped and cut out the pretty petals and attached them just over the same images stamped onto card stock. I colored my flower using Cherry Cobbler, and Daffodil Delight Blendabilities. Did you know you can earn those marker sets for FREE during Sale-A-Bration? Message me if you would like to learn more about this promotion. Very pretty. Love the flowers. You did a great job of coloring your florals. What a terrific team of designers you all are, I am inspired! LOVE your bold here Veronica!!!! Pretty card, I love your bold and beautiful flowers. So I thought I had visited all the team's blogs to comment, but alas I hadn't until tonight. I love those flowers and the stitching really completes the whole package! This is gorgeous, Veronica! 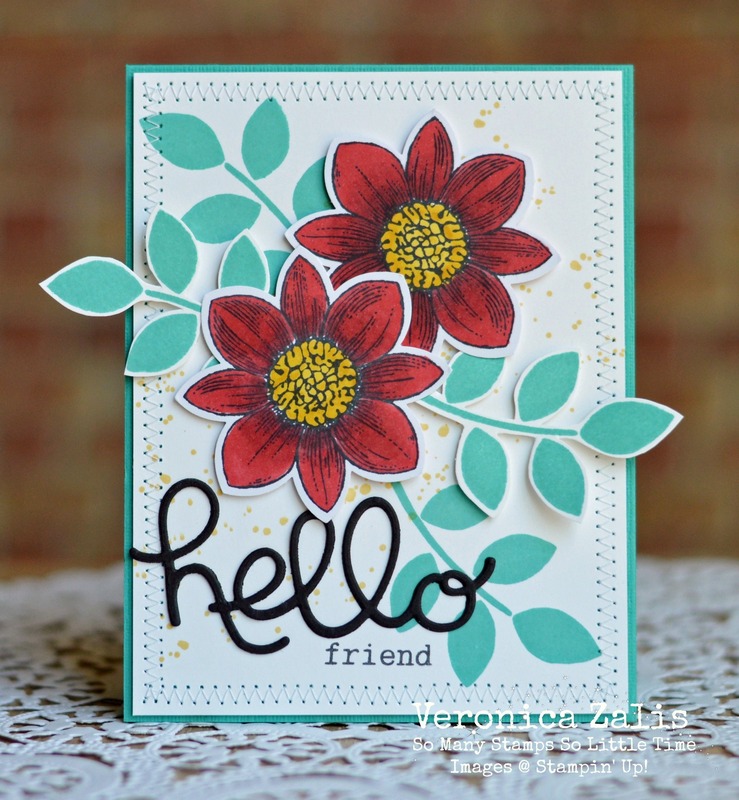 Love your bold flowers and the touch of black with your die cut hello.